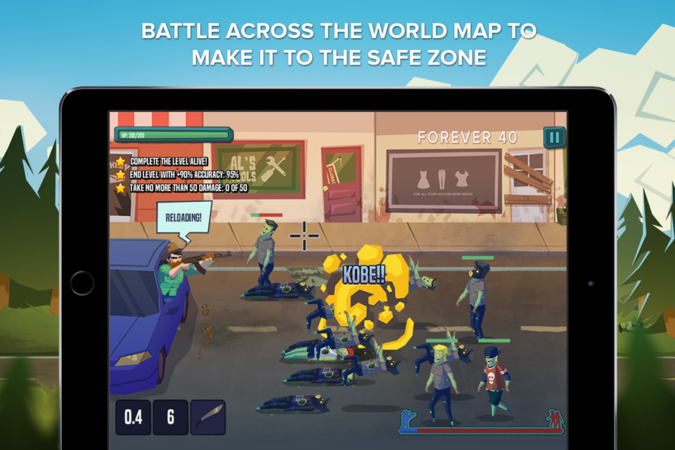 Move across the world map to make it to the safe zone! 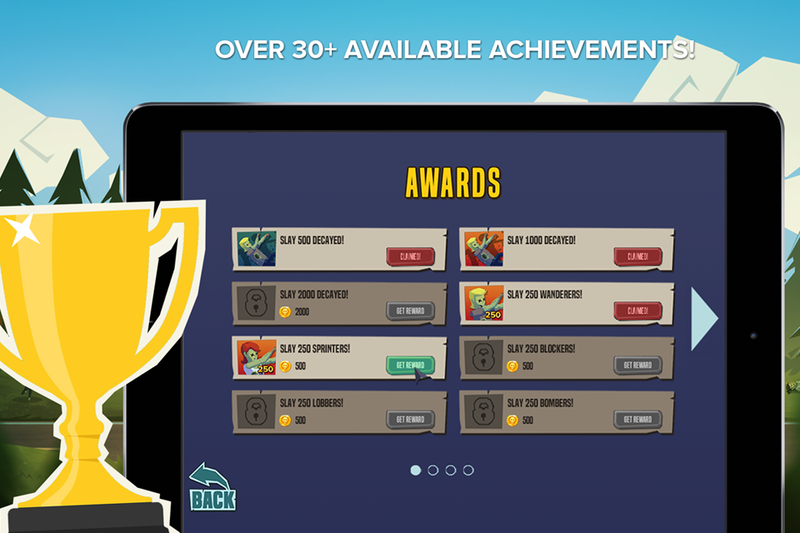 Earn stars and upgrade your talents! 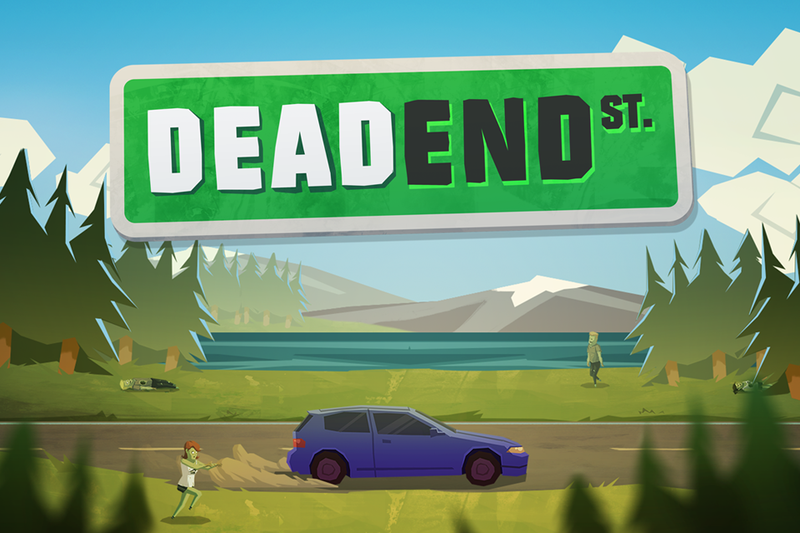 Play the extra Decayed and Challenge modes to earn medals and more stars! 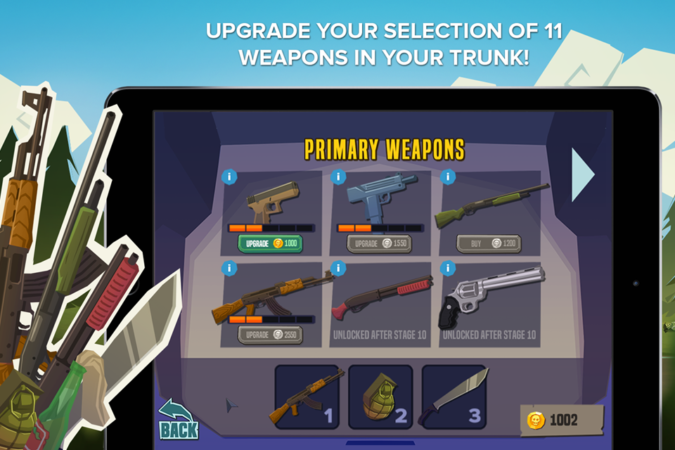 Upgrade your selection of 11 weapons in your trunk! 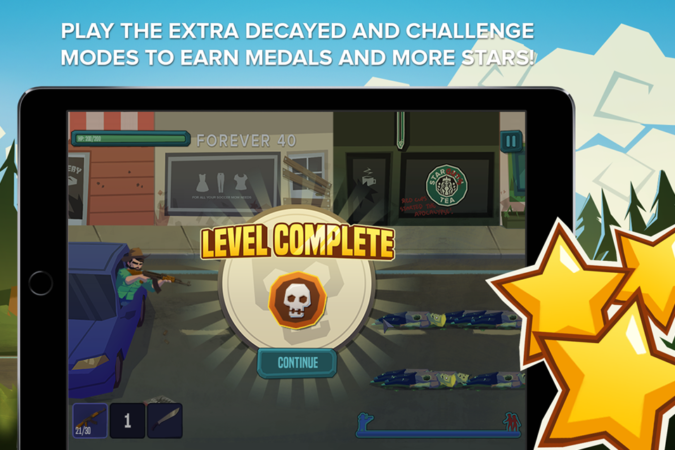 Test your skills against mega-zombie bosses!